AE2O is a non profit, non governmental organization, whose aim is to promote second chance education, working especially with disfavoured young people with low qualifications, unemployed and at risk of social exclusion. Its main activity is to run Escola de Segunda Oportunidade de Matosinhos, a pilot project that started in 2008, the only second chance school in the country, member of the European network of second chance schools (E2C-Europe). The school targets 15 to 25 year olds who have left school without finishing their basic education due to social and emotional difficulties that impeded their continuing engagement in formal learning. The students are referred through social services, mainstream schools, “court support teams” for young offenders, and others come and in general word of mouth peer-to-peer information. Matosinhos Second Chance School has 70 student places lasting one year, which can begin at any point in the year. The school works for 9 years now in a very alternative way, offering young dropouts a new experience based on recognition, validation and certification of competences acquired in the training activities and also in life. Building up a portfolio of work leads to certification equivalent to the sixth or ninth year of school. The school’s follows an holistic pedagogical approach through a “dynamic connection and combination between subjects”. The students develop their own Individual Training Plans, combining vocational, artistic, school and personal and social skills. Personal and social education is taught in a cross cutting way through different media, in response to issues that arise within a group, individual or family setting. Parental education is provided also for parents asking for help with different issues such as benefits, food and jobs. The school offers a positive environment and an arts based curriculum which attracts the attendance of these young people and encourages their learning, engaging with the realities of their lives accepting them as human beings with a potential to be developped. Our teachers and staff are interested to add new tools to their educational practices to have better chances to succeed in our challenging training context. 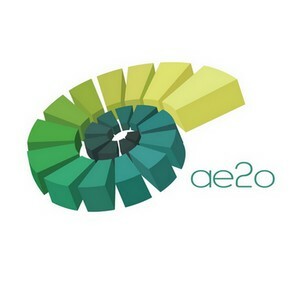 For several years AE2O has been organising and participating in many international projects (youth exchanges and events, seminars, training courses, networking activities) offering young people, staff and other adults opportunities for personal, professional and social development. AE2O develops also other activities of training, exchange and spreading of experiences and is certified by national agency DGERT as accredited training provider.